Amir Javidinejad | I.K International Publishing House Pvt. Ltd.
Amir Javidinejad received his MS from the Georgia Institute of Technology in Atlanta and his PhD in mechanical engineering from the University of Texas at Arlington. 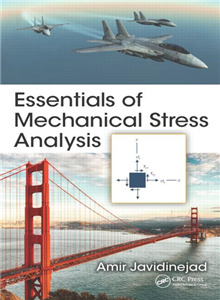 Dr. Javidinejad has extensive practical experience in structural solid mechanics and finite element methods from aerospace, military, and commercial industries as well as from academia. He has been involved in research in the areas of structural mechanics of isotropic and composite materials, and his experiences include static and dynamics simulation of various structures and structural testing correlations.